Calgary's largest school bus operator says it supports installing seatbelts following a CBC News investigation, but the company won't yet comment on whether they'll install seatbelts if not compelled by industry regulators. Calgary's largest school bus operator says it supports installing seatbelts, but that's not the current industry practice. Calgary's largest school bus operator says it supports installing seatbelts following a CBC News investigation, but the company won't yet say if they plan to do so if not compelled by industry regulators. An investigation by CBC's The Fifth Estate found that thousands of injuries and numerous child deaths could have been prevented across Canada and the United States in the past three decades had school buses been equipped with seatbelts. After lobbying in the '70s by school bus operators, a proposed law to make seatbelts mandatory on school buses was withdrawn. "We would be looking at this with fresh eyes … it has brought to light new research and new advancements in safety and technology," said Amaira Hansen, spokesperson for Calgary-based Southland Transportation. Hansen said the company couldn't yet comment on whether they would look to install seatbelts, but said they'd work with the industry and Alberta Transportation on the matter. The company transports about 50,000 kids to and from schools across Alberta and Saskatchewan, according to its website. Hansen said to her knowledge, Southland did not participate in the anti-seatbelt lobby. She said the company is in favour of three-point seatbelts, which are currently installed on some of the fleet's buses, but they are not required equipment in school buses. "As an industry standard we don't have seatbelts and we follow the industry standard," she said. 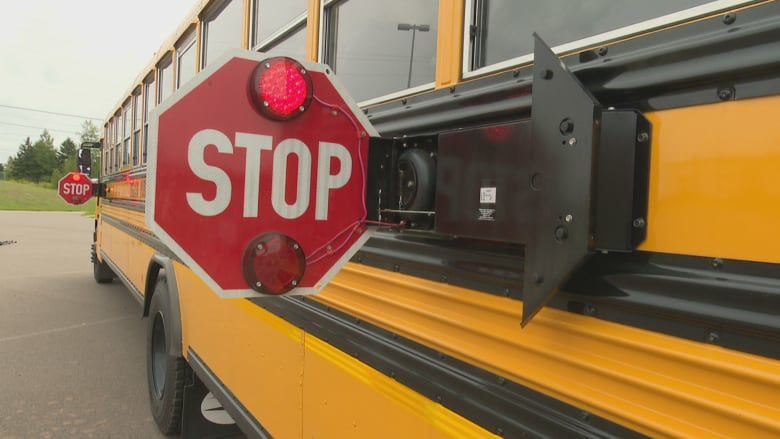 "We're in favour of any modifications or advancements that will support safety on school buses." An Alberta Transportation report released following a horrific school bus crash near Rimbey, Alta., in 2008 said studies have found adding seatbelts would not make buses safer and could put students at greater risk of injury. The Fifth Estate investigation found the study that report was based on was deeply flawed, and never tested for side-crashes or rollovers. Alberta Transportation told CBC that it will be reviewing the issue with the federal department of transportation. Judy Anderson's three daughters survived the Rimbey crash. A teenage girl died and two students were injured after the school bus was hit by a gravel truck, throwing those three students onto the road. Anderson said the students should have been buckled in. "I just think it would have kept the kids that were hurt in the bus, kept them in the bus, except out on the highway," she said. "It's time to put seatbelts in the buses, make them safe."